EPCs. Tools and services: AVEVA and DST solutions. 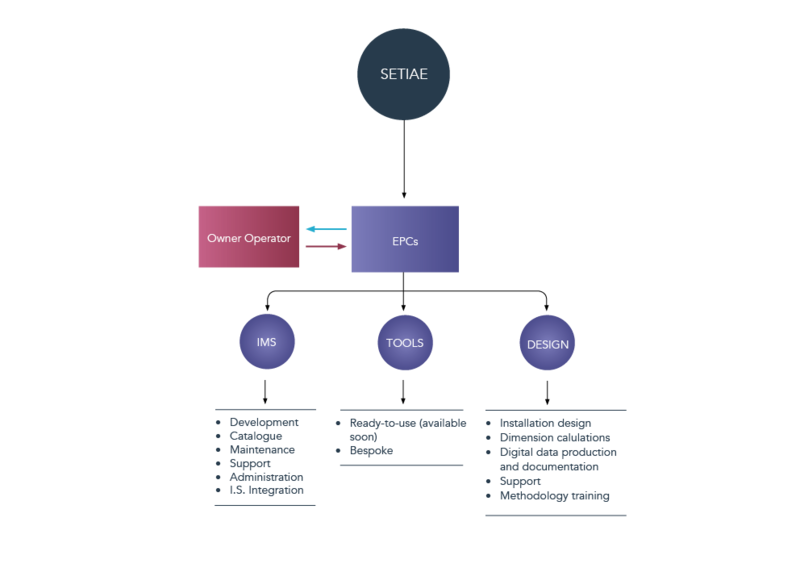 With the strength of experience SETIAE offers ready-to-use tools, which have the objective of simplifying the everyday life of designers and digital engineers. A tools catalogue will be available soon. Do you wish to adapt one of our ready-to-use tools for a specific purpose? We can offer a customisation created by our IMS development team. SETIAE will offer a 50% reduction on the cost of development and in due course the tool will be added to our catalogue. SETIAE will retain ownership. SETIAE will develop the tool according to your needs and you will be the sole owner. For further information please ask for a quotation.